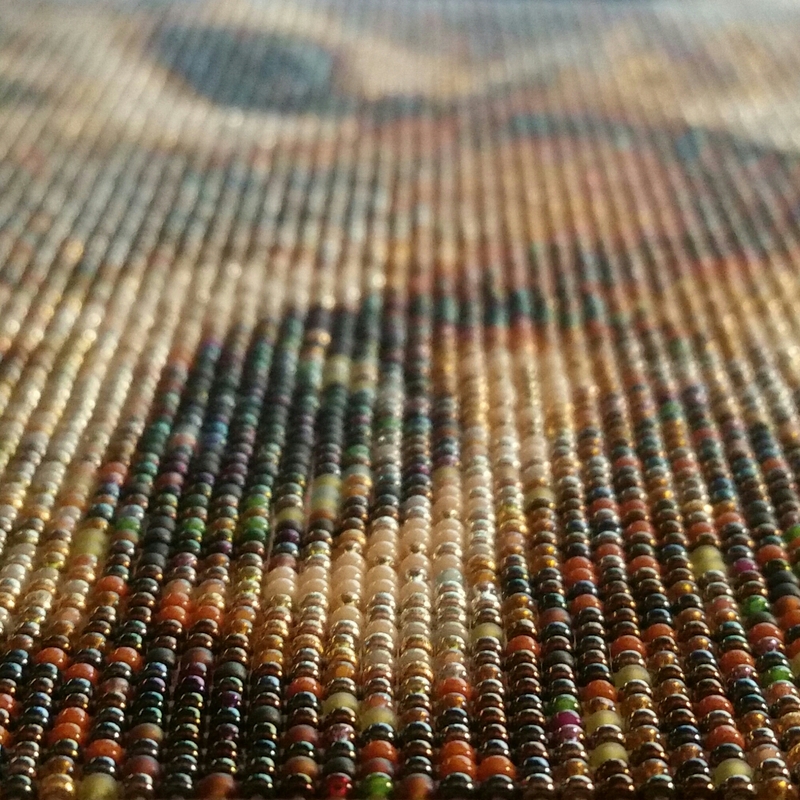 That’s how many itty bitty glass beads make up this bead weaving. You could also call it a tapestry. 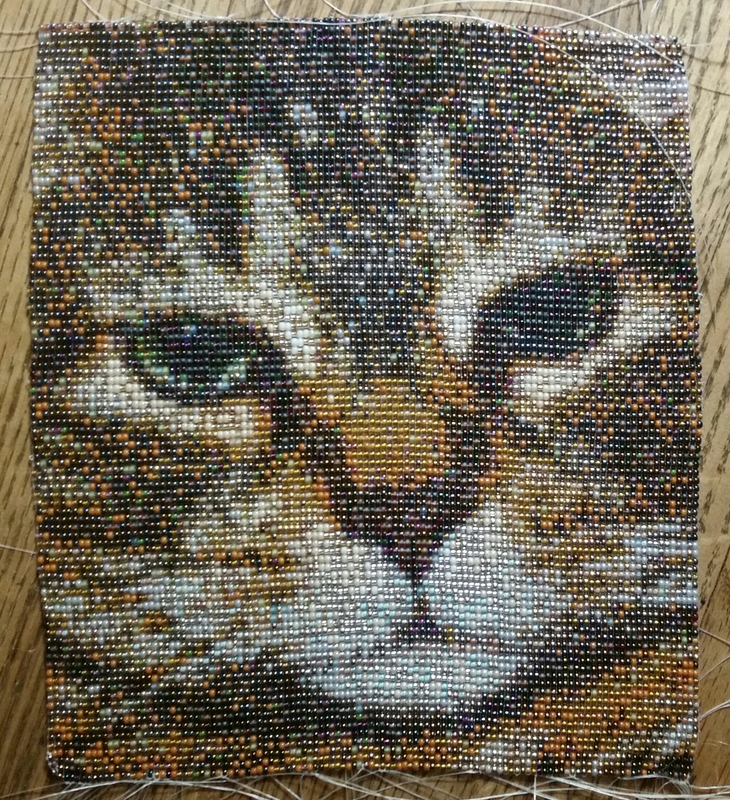 I call it a beaded photomosaic, a variation on Mimi. With fifty different colors, at six inches tall, this panel is destined for the front of an evening handbag, perhaps with coordinatng beaded fringe.